Meg Timmons has loved her best friend's older brother, Hart since he took Meg's mother to task for the woman's callous treatment of a young Meg years ago. Intellectually, Meg knows it's a hopeless cause. Even if Hart finally notices her as something more than his sister's friend, when he decides to settle down he will undoubtedly be looking for someone with a sizable dowry to enrichen both his title and the family coffers. Meg may be tolerated in society but her father's gambling has the family in dire financial straits. Then, of course, there's the fact that Hart's parents and Meg's parents, once good friends, now hate one another with a passion. Meg knows all this in her mind, but when Hart's sister, Sarah tells Meg that her brother has finally decided to seek a bride, Meg's heart can't help but nudge her to give Hart one more chance to realize Meg's his perfect match. With the help of Lucy, Duchess of Claringdon (The Unexpected Duchess), will Meg finally capture Hart's love or will she be forced to accept that they were never meant to be? Viscount Hart Highgate has thoroughly enjoyed his years as rake about town but knows it's time to finally settle down and seek a wife. With his parent's horrible marriage and a past betrayal coloring his views, he intends to make this strictly a business decision. Hart knows what his father expects of him - the man even provides him with a list of acceptable brides - but Hart may have been more affected by his sister, Sarah's marriage to her beloved in defiance of their parents' wishes (The Legendary Lord) than he realizes. When his eyes are finally opened to the woman Meg has become, will he be willing to acknowledge his growing feelings, cast expectations aside, and allow his heart to take the lead, or will that past betrayal leave him unable to forgive when he believes he's been betrayed once again? 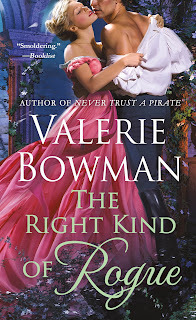 Valerie Bowman combines humor, heart, and one of my favorite romance tropes in this newest novel in her Playful Brides series. This is the eighth book in the series and several characters from previous books make appearances, though this book can be read as a standalone. While it's always fun to see previous characters, there are instances where they steal the focus from Meg and Hart. I really like these two together and would have been happy with more time devoted to their delightful banter and growing relationship and a bit less with Lucy and her scheming even though that is an important part of the story. Also, the resolution of the obstacles keeping Meg and Hart apart seemed a bit rushed. While these aren't major issues, they did have an impact on the number of stars. Overall, I enjoyed this book a lot. Meg, in particular, was a favorite. I loved her loyalty, her straightforward approach to life, her charming response to Hart's attention (hiccups for the win), and the fact that evolving from ton wallflower to belle of the ball didn't change her a bit. While there were times when I wanted to whack Hart upside the head (especially in the last few chapters), most of the time I adored him. I love how befuddled he was by his emerging feelings for Meg, his support and defense of her, and how he wanted only the best for her. I cheered for this couple from beginning to end. 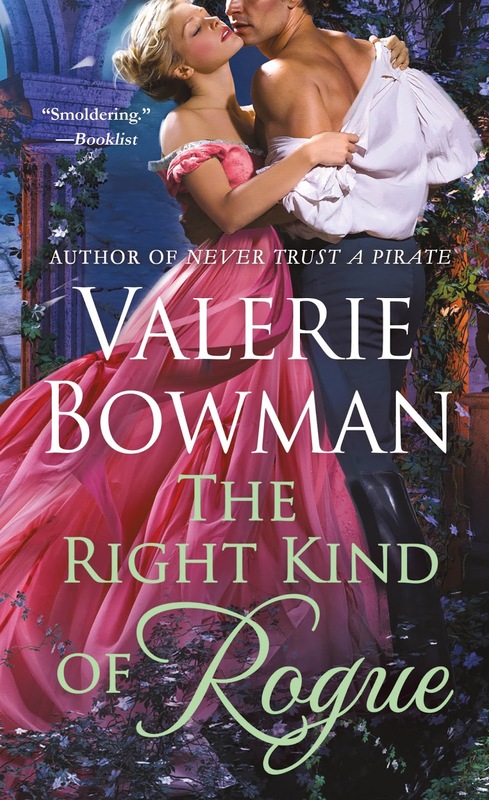 If you're looking for fun, fast-paced, historical romance with plenty of humor and heart, you can't go wrong with Valerie Bowman's The Right Kind of Rogue. Have you read any of Valerie Bowman's Playful Brides series? If so, do you have a favorite book or couple? I have read some of her stories and enjoyed them very much.. I enjoy some angst in my reading so marriage of convenience or enemies to lovers or the Cinderella troupe. My favorite couple is usually the current one that I'm reading about lol. I know what you mean about the current couple being your favorite, catslady. I often feel the same though there are a few memorable couples out there who have permanent places in my heart. I've loved every book of Valerie's that I've read, though I have some catching up to do with her Playful Brides. I enjoy most of the tropes, but friends to lovers is my favorite. Like Catslady, my favorite couple is usually the one I'm reading at any given time. I haven't read the last book in this series, Never Trust a Pirate yet and it's the one I've been most looking forward to. I really need to clear the decks and dive in. Cade has been getting rave reviews! Valerie's novels are captivating and special. A subject I enjoy is meeting by chance and having another chance to get together. I like that trope too, petite. Elyssa Patrick has a novella with that trope that I liked a lot. It's "Saved by the Belle" in the anthology, Once Upon a Christmas:A Wynter Family Saga. It's currently free in ebook format. Historicals are wonderful and Valerie's stories are enjoyable. My favorite couple are suited to each other and a favorite trope is a widow and widower. That trope can be very satisfying for me too, traveler. I haven't read any of her books yet. My favorite tropes are friends-to-lovers and conversely, enemies-to-lovers. I love those tropes too, Kim! I love historical romance books. I have a few favorite tropes, friends to lovers, friends of brother who the heroine has long held a crush on, and enemies to lovers. I also like to read about older women having HEA's. I think you'd like this one, Diane! I'm afraid I have not read Valerie Bowman's playful bride series so don't have a favorite couple. My favorite romance tropes are marriage of convenience and bluestocking. Her books are easy reads, Lil and a lot of fun. I haven't yet read any of her books, but they sound fun. I have read quite a few of Ms Bowman's books. I enjoy her work. I liked this book a great deal. I did get rather disgusted with Lucy and her antics. I liked Hart and Meg. But, then I generally like Ms Bowman's couples. No need to put my name in the drawing and thanks for the review. Glad to know I'm not alone in getting annoyed with Lucy, Annette. I read the netgalley ARC and thoroughly enjoyed this story. I've read almost everything she's written. Her books are fun reads, aren't they? I like the friends (or enemies) to lovers troupe. It's fun to see how the author will make a sticky situation work out to a HEA. I've read 8 or 9 books written by Valerie including the first 2 books in the Playful Brides series. I have 6 more on my TBR shelves. So far, I'm enjoying the series and I really enjoyed reading about Lucy and Derek. Lots of good reading ahead, Karen! I enjoy a story with some humor & some suspense - marriage of convenience, and childhood friendships can be fun. I haven't read this story yet, but it's on my reading radar. I've heard of her but have yet ti read her books. I do have some on my kindle, I like friends to lovers or second chance stories. You have some fun reading in store, Eileen! Beauty and the Beast is my favorite with Cinderella a close second. Change, redemption, and justice are threads through the stories that I like. Unfortunately I haven't had a chance to read any of the Playful Bride series. The Right Kind of Rogue sounds like a delightful read.